Connect with Cuddll - A Rose Is A Rose Is A Rose! Splitting from your spouse is a rollercoaster ride in terms of emotions and life in general. There’s pain, grief, anxiety, confusion and fear to deal with, along with a million other things like finances, logistics, legal hassles etc. And if you are moving to a new city with a new job, then it’s double multiple whammy. Our friend Priya had to go through all this recently. Since my husband and I were her only friends in the city, we helped her settle down in her new home. We helped her establish the new normal by inviting her for dinners at our place or going out for movies or taking her along with us to our social meet-ups. Within a few months, she had her own new circle of friends and had a social life busier than that of a socialite. She was going for some really cool events and meeting some interesting and like minded people. We were glad for her, for she was letting go of the past and trying to get back to normal life. But we were concerned a bit too, and didn’t want to see her hurt or troubled again. To put our worries to rest, she showed us the Cuddll app on her phone. 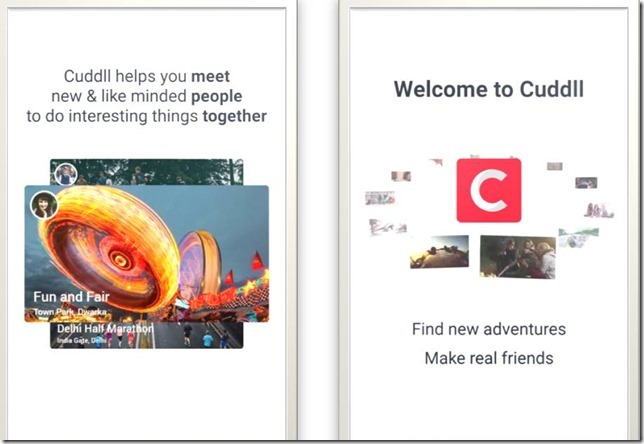 Cuddll is social networking – lifestyle app that is based on the premise that you make your best friends when you do something together. And the first logical step is to start a conversation on a common topic of interest. So people who are located around you and doing things that interest you can be your potential friends. 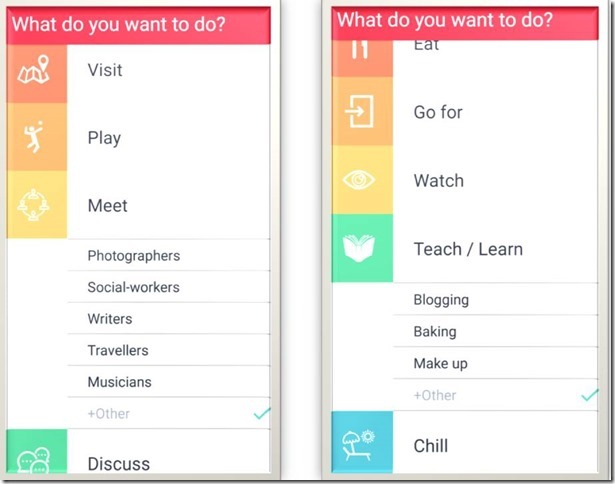 It’s an app that lets users discover people who are willing to engage in group activities around them. Users can join informal social gatherings and chat with other users who are also looking to attend the same gathering. 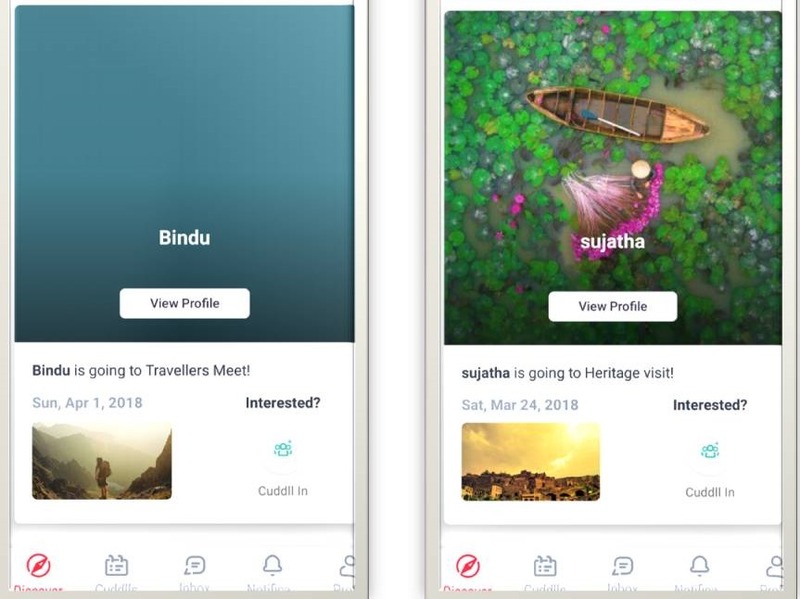 Basically, you can meet new people, plan a social gathering or join someone’s invite (they call it Cuddll in, actually), do something together in a group, share experiences without sharing phone numbers or connecting on any other social media platform. 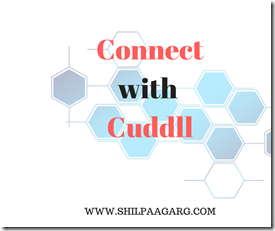 Cuddll members can initiate and engage in social hangouts around them without the involvement of a formal organization or compulsory entry fees. And you can do all these amazing things, meet awesome people and discover unique adventure experiences on dates suitable to you, around places near you. As we looked on with interest, Priya explained that with dating apps, you can find singles with interest in hard rock or trekking, but you can’t find singles who have a great sense of humor and are good human beings. Because that can be found only when you meet the person in real life. With Cuddll, this gap is filled completely. For instance, when you opt to share your blogging tips or learn baking from someone or go on a heritage photo walk, you are engaging socially with people who share your interests and that way you get to know them personally. Cuddll helps you to engage in one to one interactions that goes beyond physical appearances, and enables you to come forward and speak your mind in groups. It removes the pressure of sounding entertaining and engaging from the go. 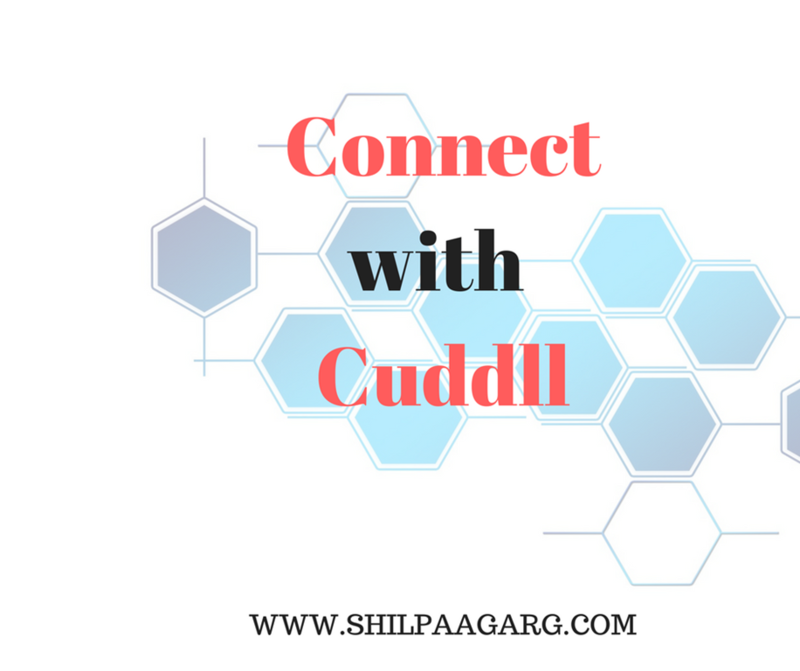 With Cuddll, the experience of finding new friends is easy, comfortable, exciting and secure. These aspects appealed to me too. On dating apps, there isn’t any dearth of fake profiles and there are people who can even fake all about themselves while communicating online. Who knows you could be chatting with a scammer, or a troll or a criminal!! Believe me, it’s not a far-fetched thing these days! In that respect, Cuddll seems to be a safe and secure way to meet new friends. Priya explained that Cuddll actually fills the gap between dating apps which are used for social discovery and Facebook, which is used for virtual connections. She shared that men have it hard and majority of them do not get a swipe on the dating apps and hence they are unable to make new friends. While women are vary of these dating apps as people are generally there on these sites for hookups. As for Facebook, the connection is just limited to the virtual world. Hence there is no real life solution for friend finding. We are very happy for Priya. She isn’t having sleepless nights and is not sitting alone and moping about her past. She is embracing the present and looking ahead. 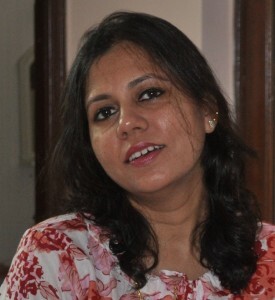 She is meeting newer people, she can connect and interact with, people who share her passions. And all this not behind a screen but out there in the real social world. Thanks to #Cuddll, the gloomy and dark clouds of pain and hurt are a thing of past for Priya, as she is discovering joys, learning new skills, seeking new adventures, meeting new people and living her life, again. Have you used Cuddll? Would you like to explore it? 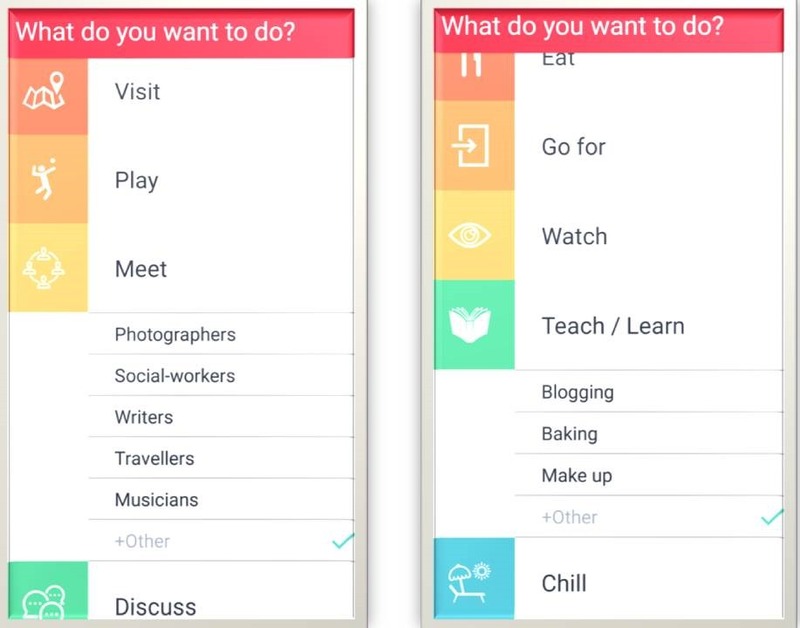 What do you think about this new app that makes making friends really easy and real too? Sounds interesting. This app is free or cost any money? yes, it’s an interesting concept. It’s completely free and is available for Android and iPhone users. Haven’t heard of cuddll. Sounds interesting. Finding like minded people to interact with is nice. I wonder how that teach/learn section works. Never seen such a category in other platforms like FB or twitter. If you want to teach something, let’s say baking cupcakes, so you will create your event with time location etc. If, I am interested to learn baking cupcakes, I will see your event and Cuddll in, that is join you. So that’s how you learn/teach. Next time, you may want to Cuddll in someone’s mosaic learning class or blogging tips etc. It’s a wonderful way to expand your network of friends and learn things too. 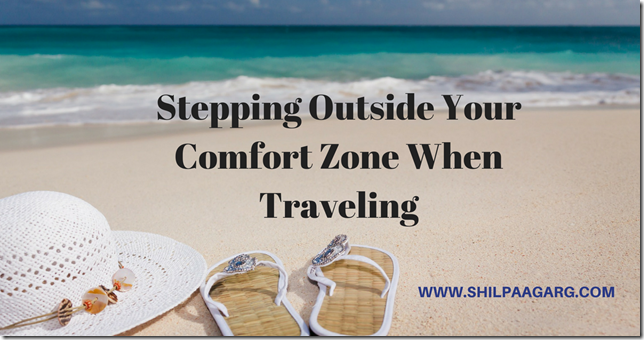 Have you used this feature, Shilpa? Sounds interesting. This is the first time I’m hearing of this. Sounds interesting. I might find some book-lovers close by. Have been thinking of a real physical book club for a long time. Yes, it can be a great way to connect with fellow book lovers. Do check it out, Tulika. Do check it out, Roshan and do share your experience! So many apps these days. Lovely to know about this one. Yeah, this one sounds good, as this is based on the premise of meeting new people while doing something together! Such a quirky name for an app! And this is such a well researched article. Thanks, Shilpa. Cuddle sounds interesting. Yeah, to me it seems like a amalgamation of cuddle and huddle 😀 Thanks, Shalini, glad you liked this post. Oh no ! Not yet another App! How much space and time does this take up ? Hahaha! Yes, another app!! But it’s different from the existing apps in the same genre. It takes 33 MB. I’m hearing of this app for the first time too, but you cannot deny how interesting it is. This sounds so much better than a dating site, and much safer. I think there are so many people out there who want companionship, but not necessarily dating or one-on-one companionship. This seems to take all those things into consideration. Glad your friend has found her place again! True that. It actually takes care of the cons of dating sites. Thanks Lynda, Priya is in a happy space now. I am very happy for anyone who can overcome the horrible hurt of divorce. If this is the same person of whom I am thinking, then I am doubly happy. There is a Priya, whom I regard as a daughter, who has suffered greatly. She has gone silent, and I am worried for her. I’ve never heard of Cuddll yet I’m intrigued. I’m finding through my own blog on Gutsy Goddesses—stories of women of courage, I’m virtually meeting really interesting women. I’ve thought time and again how exciting it would be to meet them in person. Also through blogs, I meet women like you, throughout the world with whom I would love to share coffee. I may just check out Cuddll.